What does Slow Axis and Fast Axis mean? 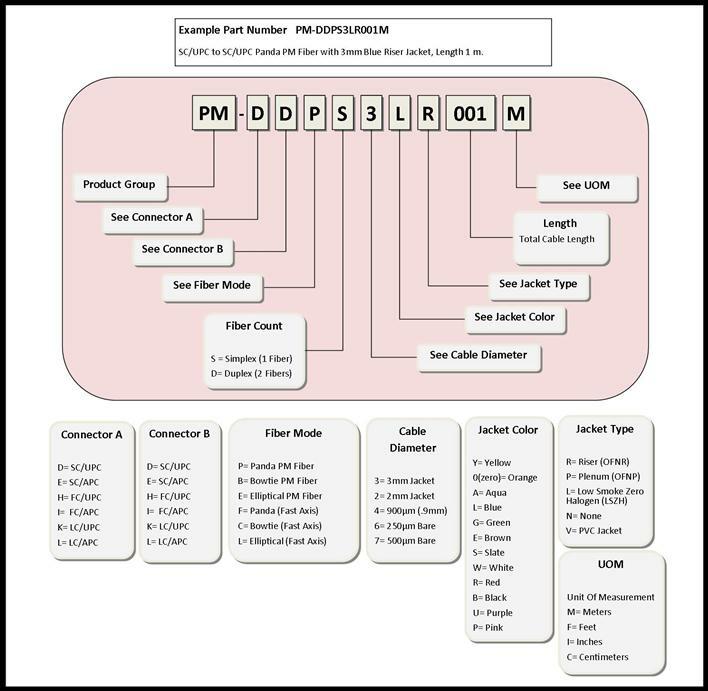 PM Fiber is able to keep multiple streams of data distinct from one another. Light passes through each axis at different speeds. Most applications utilize the slow axis, meaning that the slow axis will be aligned with the connector key. What does Polarization Extinction Ratio mean? Polarization Extinction Ratio is the ratio of correctly to incorrectly polarized light, measured in decibels. To obtain a high PER, one must ensure that the axis is lined up correctly. The more accurate the alignment, the higher the PER. What are the differences between PANDA and the others? 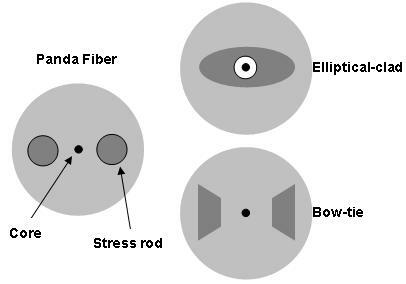 The three types of PM Fiber are PANDA, Bow-tie, and Elliptical-clad. PANDA is the accepted standard, but we can manufacture using any of the types. See the diagram below for what the internal structures look like.